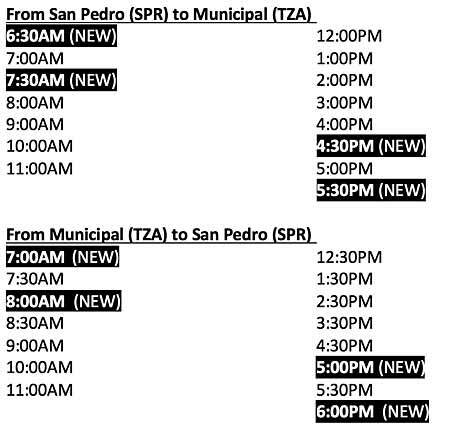 Tropic Air announced today that, effective August 1, 2018, it is increasing service between San Pedro (SPR) and Belize City Municipal (TZA). There will now be 15 daily roundtrip flights, with departures as often as every 30 minutes. Flights will now begin earlier (6:30AM), and end later in the day (6:00PM). The flights are now bookable via the web at tropicair.com, via e-mail at [email protected], by phone at +501 226-2626, via Whatsapp at +501 622-5857, by WebChat, at any of our stations, or by visiting any of our authorized sales agents.